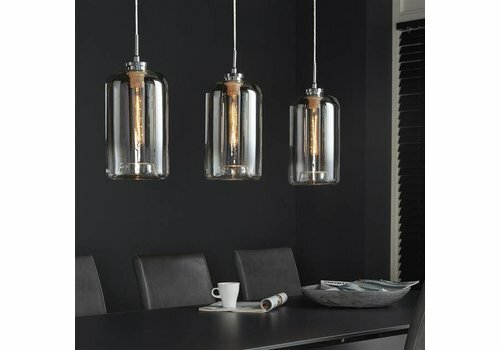 Beautiful atmospheric lighting options for affordable prices. All products shipped within 24 hours! 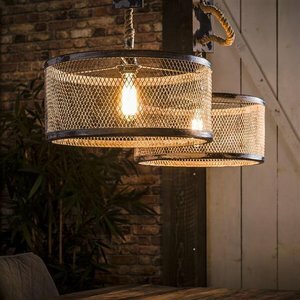 Shop our wide range of styles and choose the Ceiling light that suits you! How do I best hang a pendant lamp? 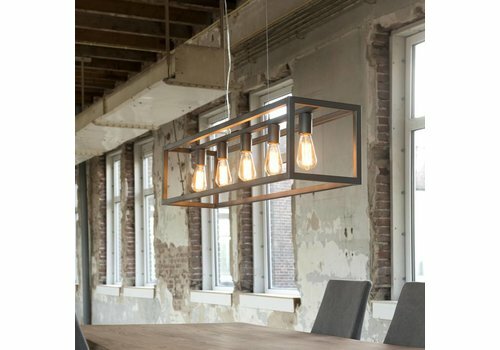 Are you looking for a hanging lamp above the dining table? 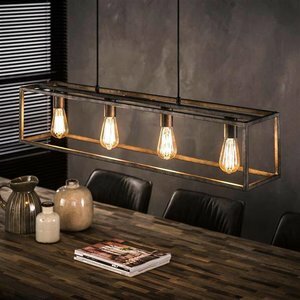 Depending on the size of your dining table, it is possible to hang one large pendent lamp as well as two or three ceiling lights next to each other. A round dining table? Then a round hanging lamp will be best. When hanging the lamp, the height above the dining table must be taken into account. But what is the perfect height? Stand next to or in front of your dining table and ensure that the hood is hung at eye level. This way, the pendulum is at a perfect height when you sit at the table. A hanging lamp in the hall, bedroom or in the living room? Then of course it is important that it is hung up so that you will not bump your head against it. In addition, it is important to take into account the light source. For example, an energy-saving lamp is environmentally friendly, a light bulb gives yellowish light and LED lamps last for a very long time! 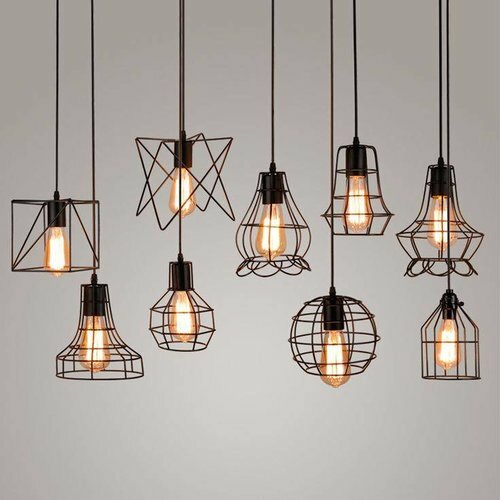 At Furnwise you will find hanging lamps from various top brands, even for striking design specimens you can contact us. 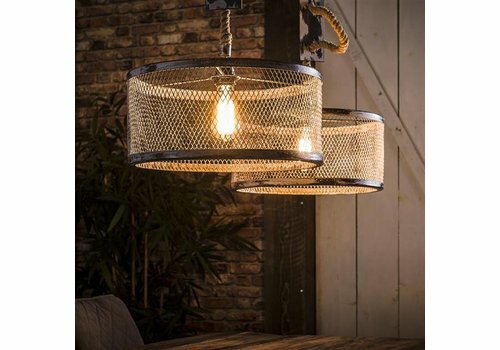 From chandeliers to an industrial hanging lamp, something for everyone! The Furnwise collection consists of modern ceiling lamps, for creating a luxurious and chic look in your interior. 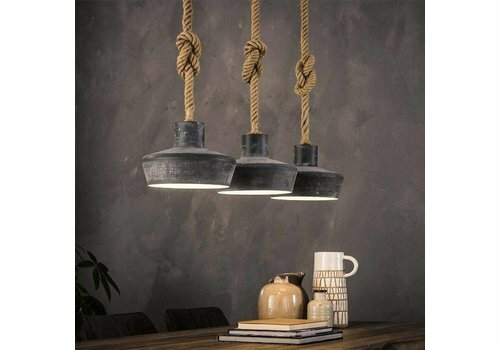 Like a concrete hanging lamp, for more character in the interior. 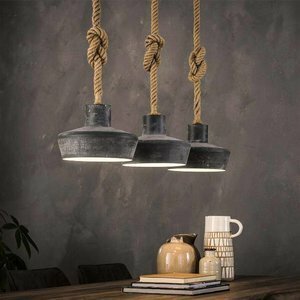 A concrete lamp is very stylish and creates a robust, tough and industrial atmosphere in the interior. Need more inspiration? 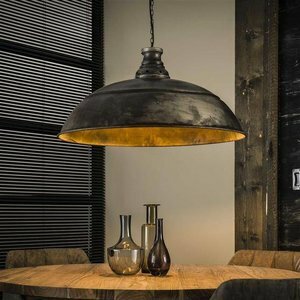 Let your interior shine and choose a brass hanging lamp, the combination of light and copper creates an eye-catching light effect! 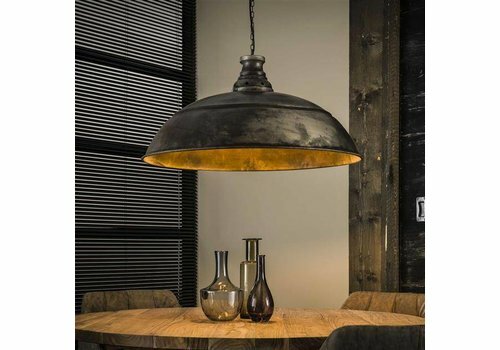 In addition to copper, you can also find hanging lamps with a industrial look in our collection. With these different materials you create various light effects in your interior. 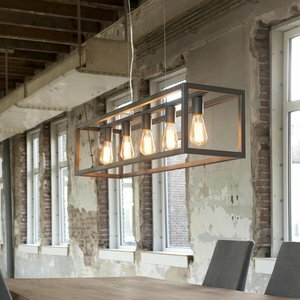 Looking to buy a pendant light online at Furnwise? 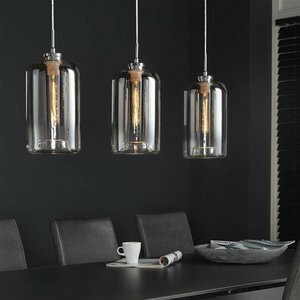 Found a beautiful pendant lamp? At Furnwise you order easily online! Are you not completely out yet? 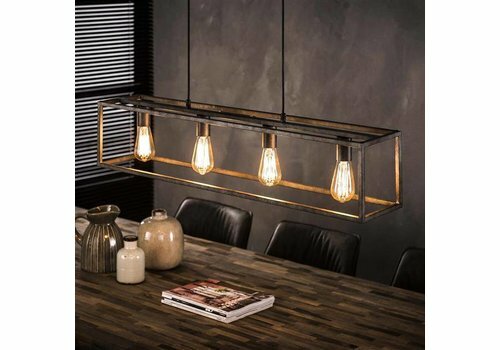 You can contact our interior consultants for a customized lighting plan, so choose a hanging lamp that suits your budget, living style and living requirements!